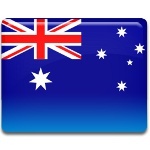 Constitution Day in Australia is observed annually on July 9. This day commemorates the day when the Constitution of Australia was approved in 1900. Constitution Day is not a public holiday, but at the same time it's very popular observance. It was introduced in 2000 to mark the centenary anniversary of the Constitution, but the commemoration was not widely held after 2001. The observance was revived in 2007, when it was organized by the National Archives of Australia, where the original Constitution document is preserved, and the Department of Immigration and Citizenship. The Constitution of Australia consists of several documents, and the most important of them is the Constitution of the Commonwealth of Australia. This document was approved by the Commonwealth of Australia Constitution Act in 1900. It became law on July 9 and entered into force only on January 1, 1901. In 1986 the United Kingdom parliament removed its power to change the Constitution of Australia, that is why the document can be changed only in accordance with the prescribed referendum procedures.